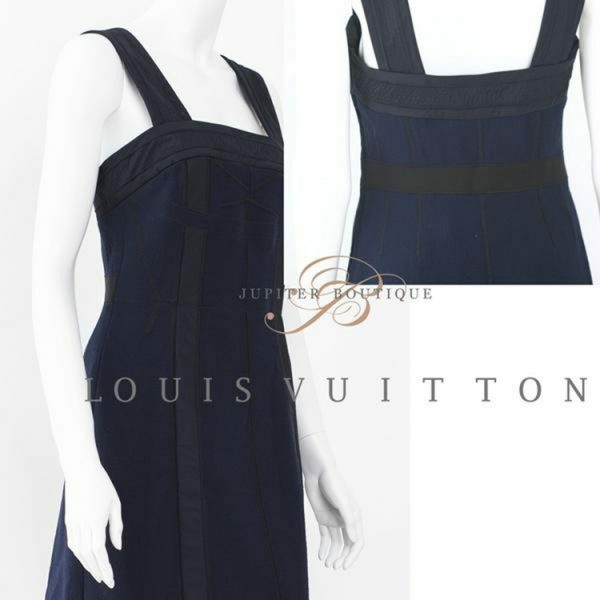 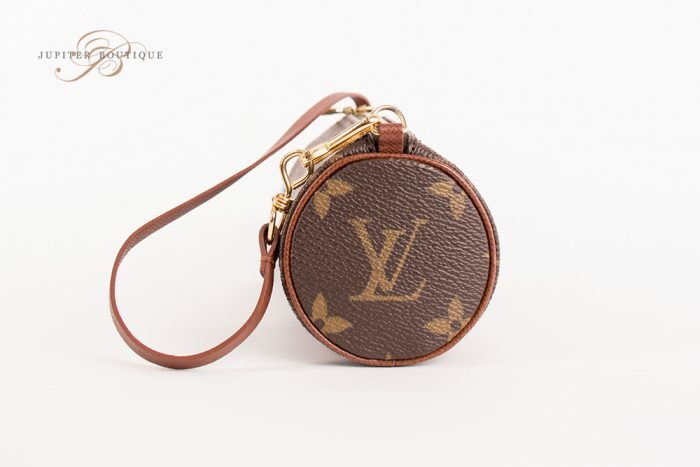 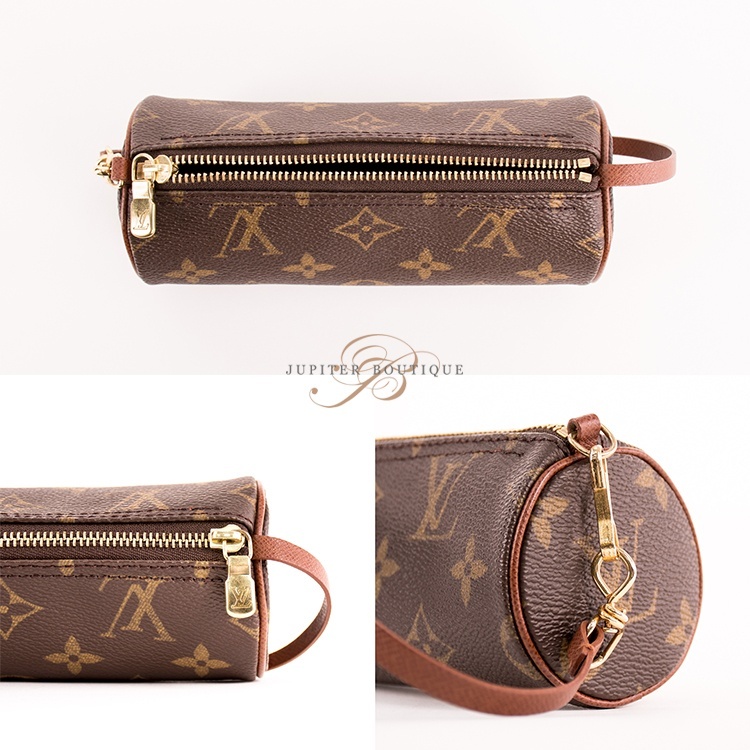 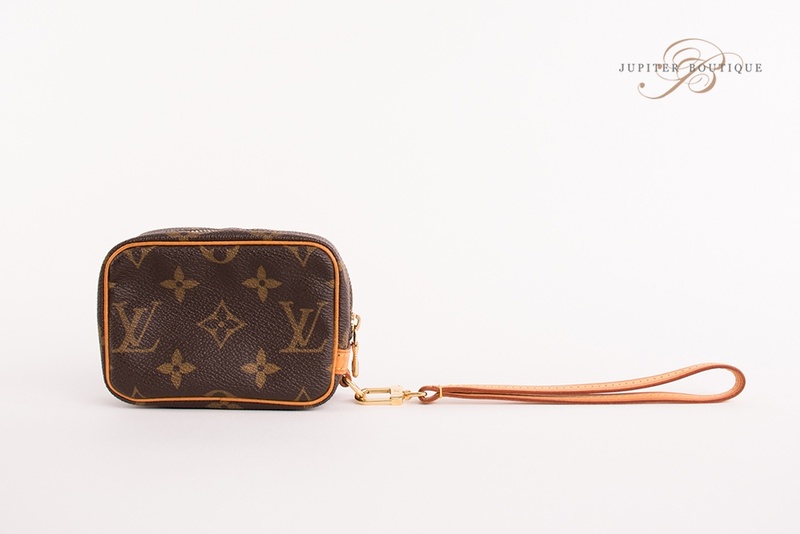 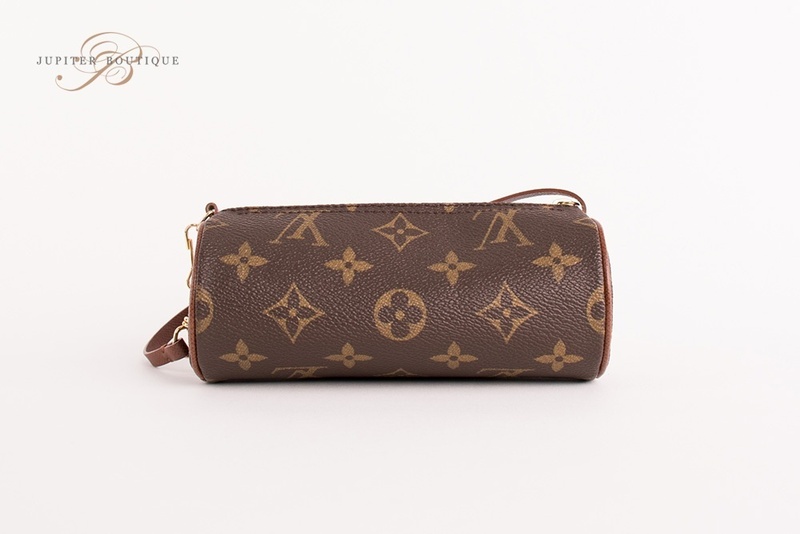 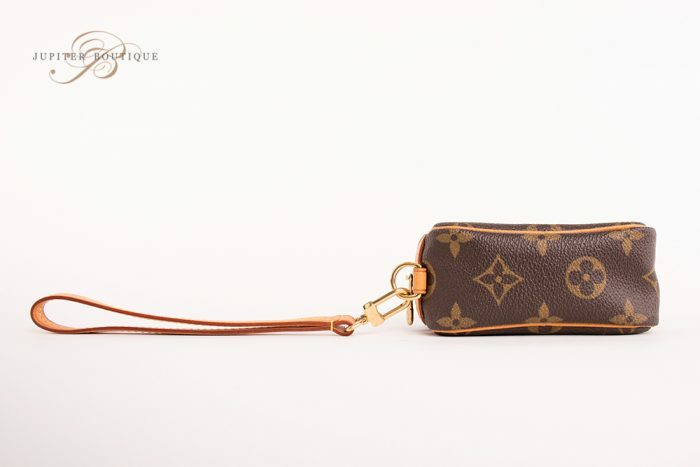 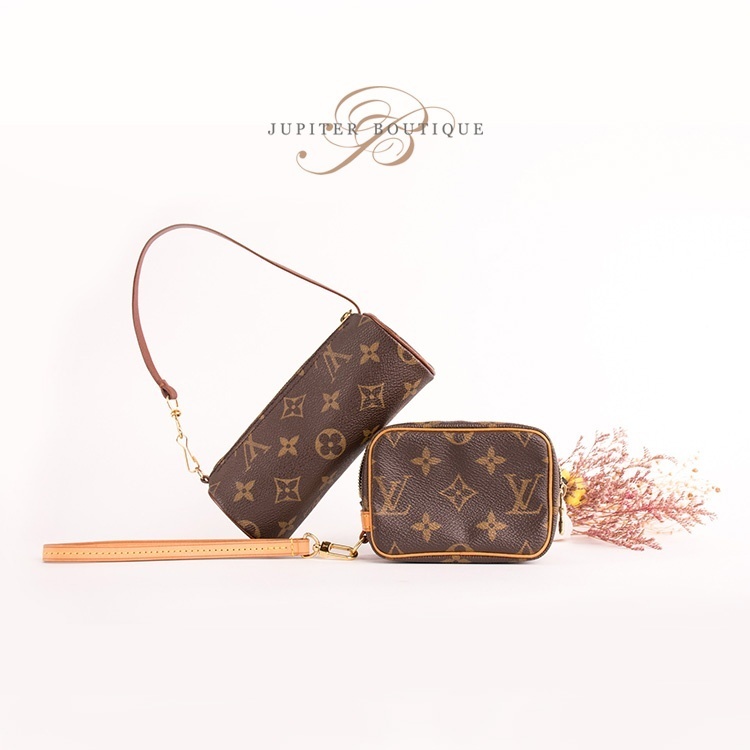 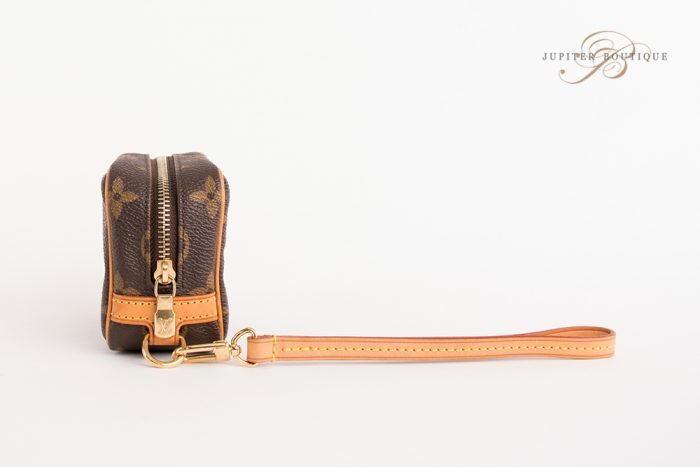 Authentic LOUIS VUITTON vintage Monogram mini papillon pochette bag and mini pochette bag set. 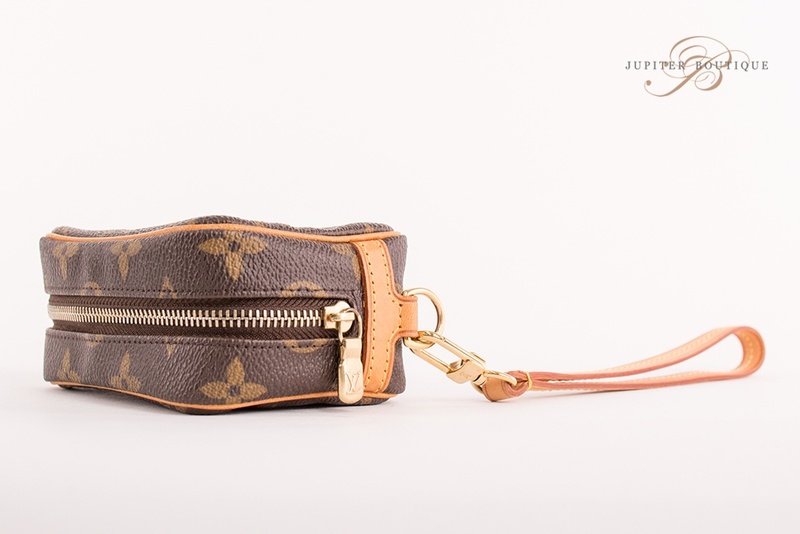 The charming pochette is the smaller version of the popular LOUIS VUITTON handbag and is crafted of classic monogram canvas. 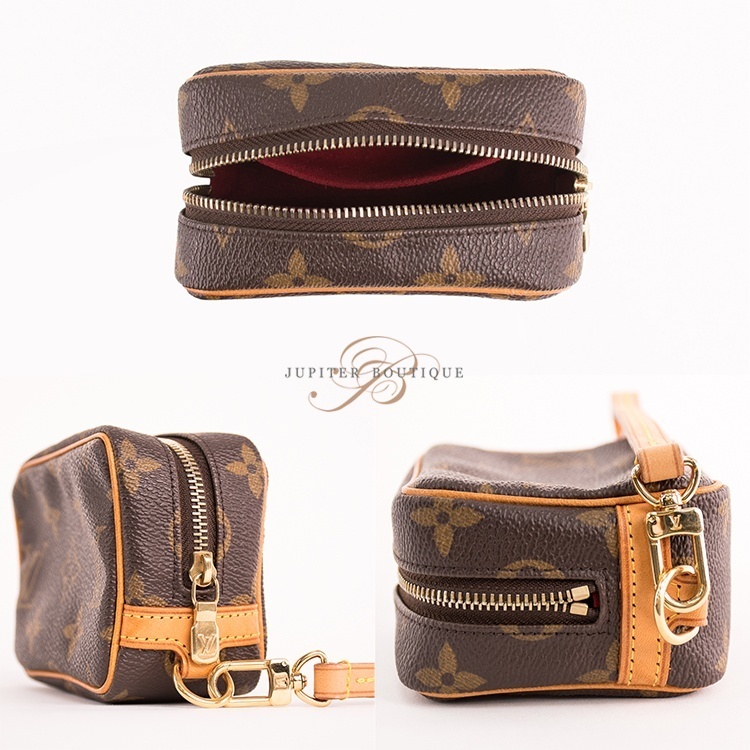 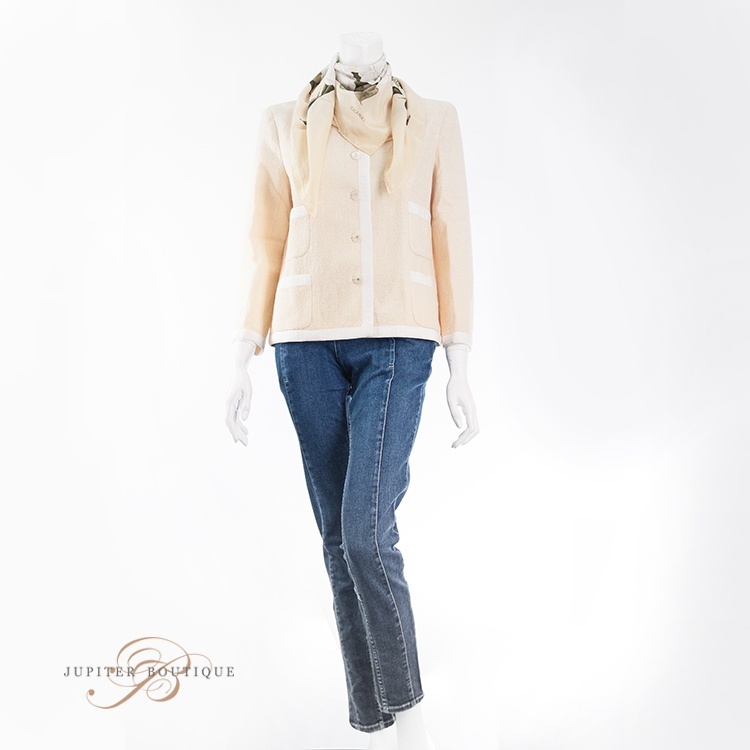 These sets of mini pouch feature beige strap handle with a golden zipper. 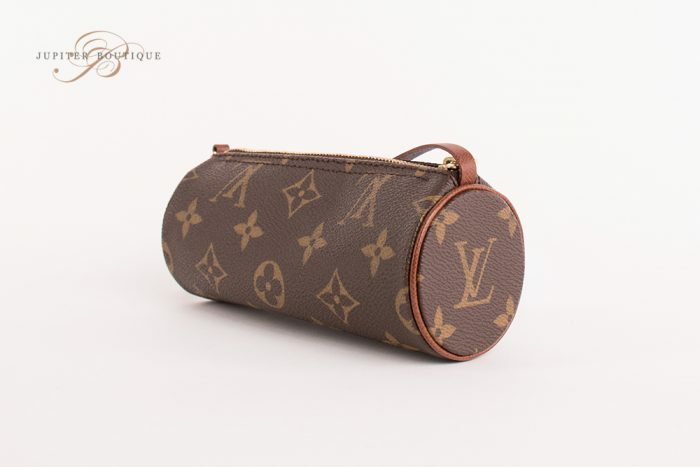 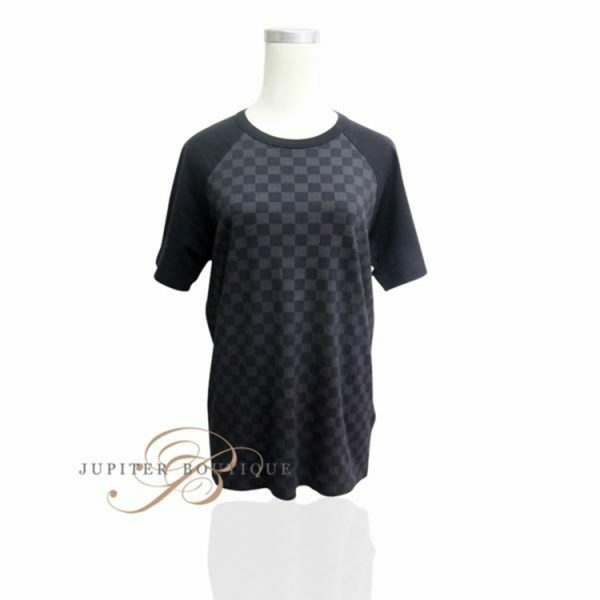 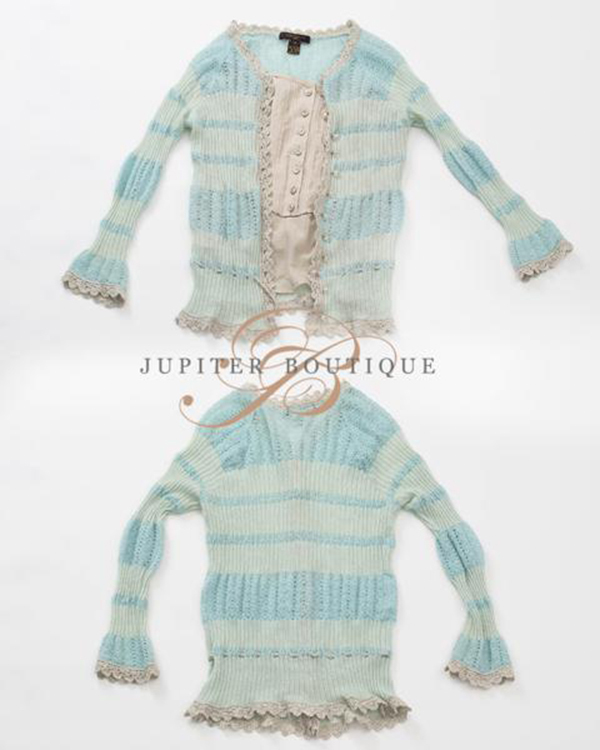 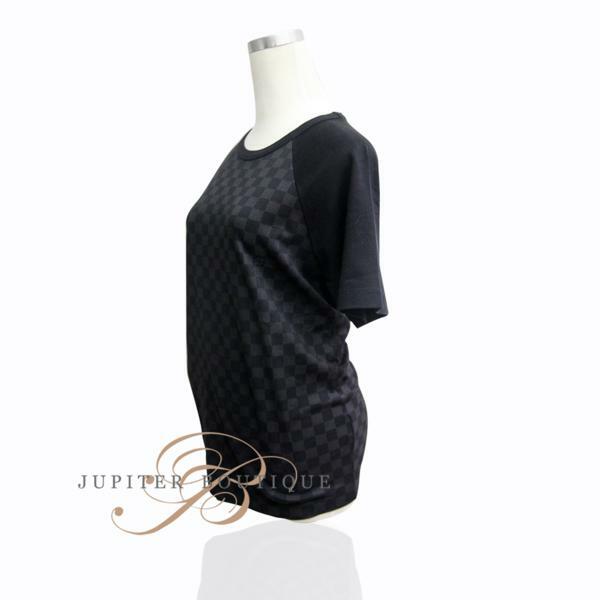 These will make a great pochette for cosmetics, accessories and other essentials.